steph and i left sydney for a roadtrip. first stop was the blue mountains just west of sydney. 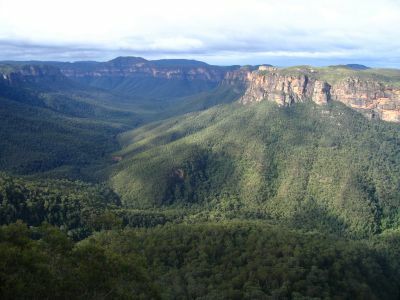 here is the grand canyon of the blue mountains. 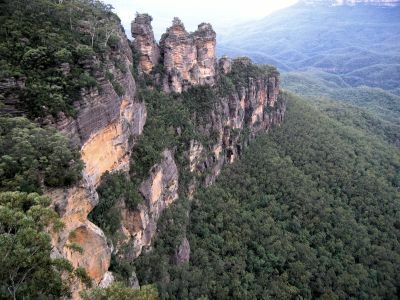 the 3 sisters. a very bad picture of it. weather didn't cooperate. we slept in the back of my van, petter, many of the nights on the road. 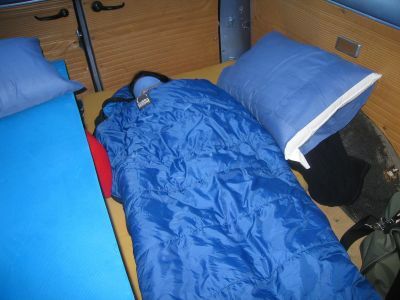 here is steph stuffed into her sleeping bag on the very comfortable floor. we stopped in the town of gulgong, a historic town whose old buildings reminded me of the old west in the united states. 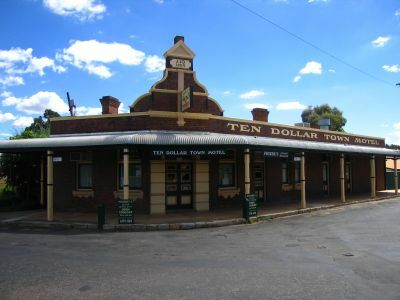 here is the ten dollar town motel. most of the pubs in australia are called hotels. 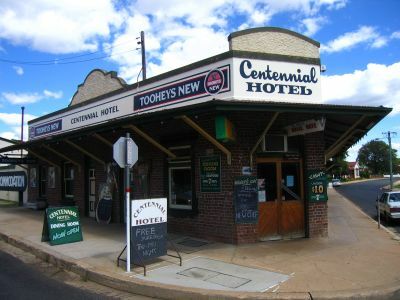 here is a cool corner hotel/pub. i guess most of them have rooms for rent also. 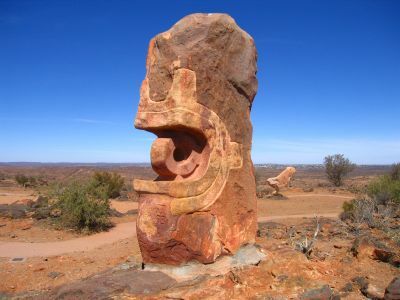 we spent a night in broken hill which is on the edge of the outback. 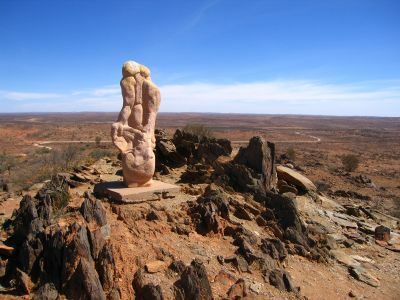 the next day we drove out into the desert to the broken hill desert sculpture symposium. here's steph posing by the first sculpture. can't remember what this was called but it's probably some jesus/mary thing i would imagine. 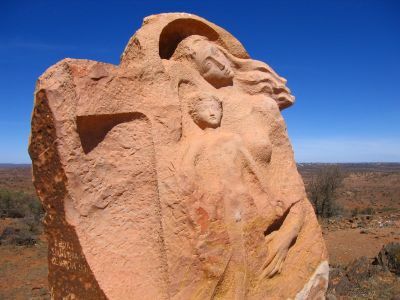 sculpture with the outback disappearing into the horizon behind it. quite a setting. we were almost killed by flies though. 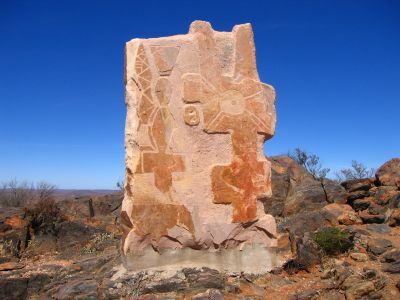 this is the most famous piece. not bad. 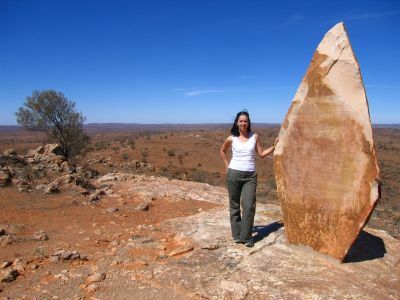 we drove out into the outback from broken hill, pulling over when it got dark for another quiet night in petter. 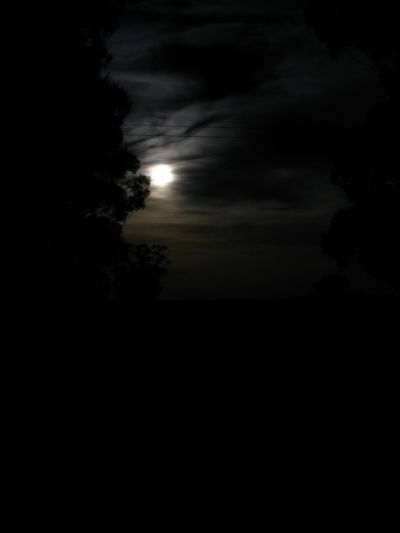 the moon rose late that night and spilled its light into the van.